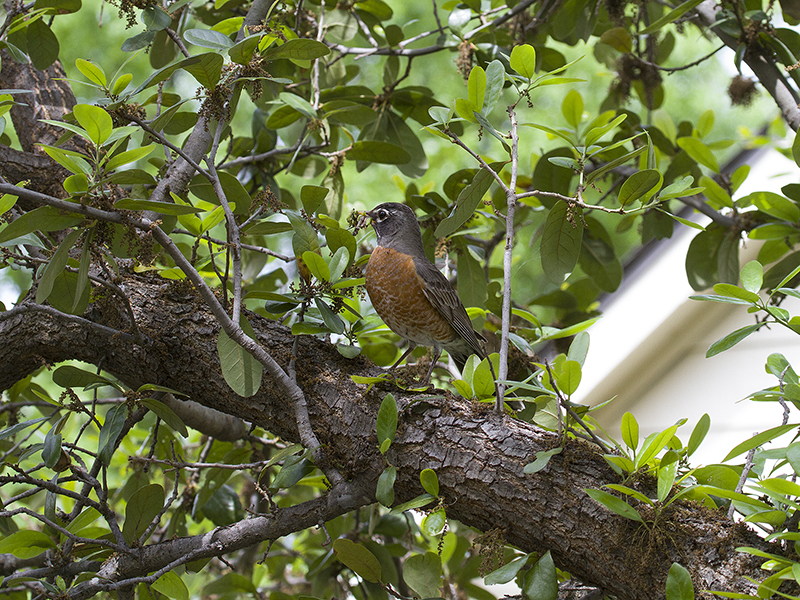 Phil got lots of great pictures of the robins this time around. 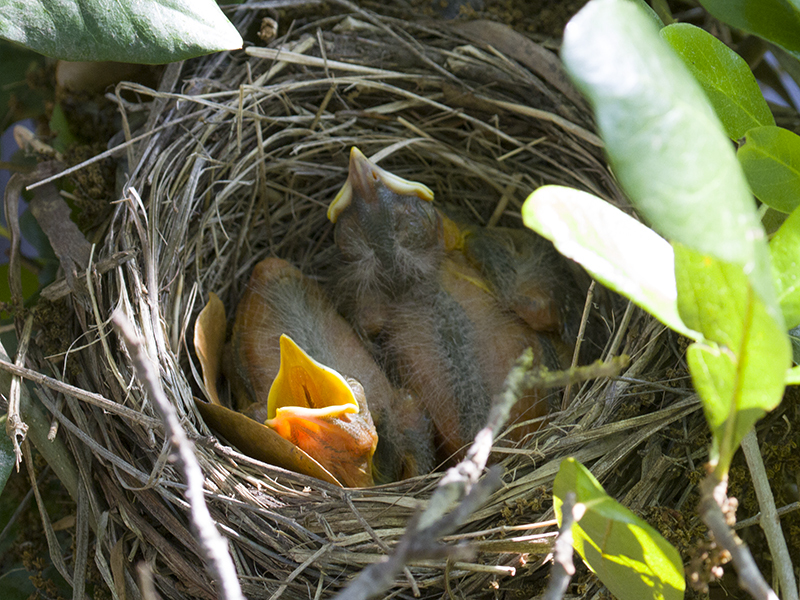 Included in this set are several photographs of the newly hatched baby birds. 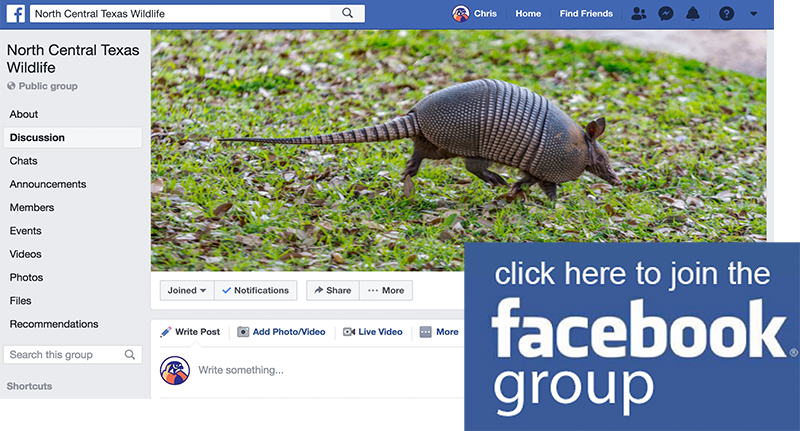 It appears the babies were born sometime on Friday, April 10th—sixteen days after incubation began. 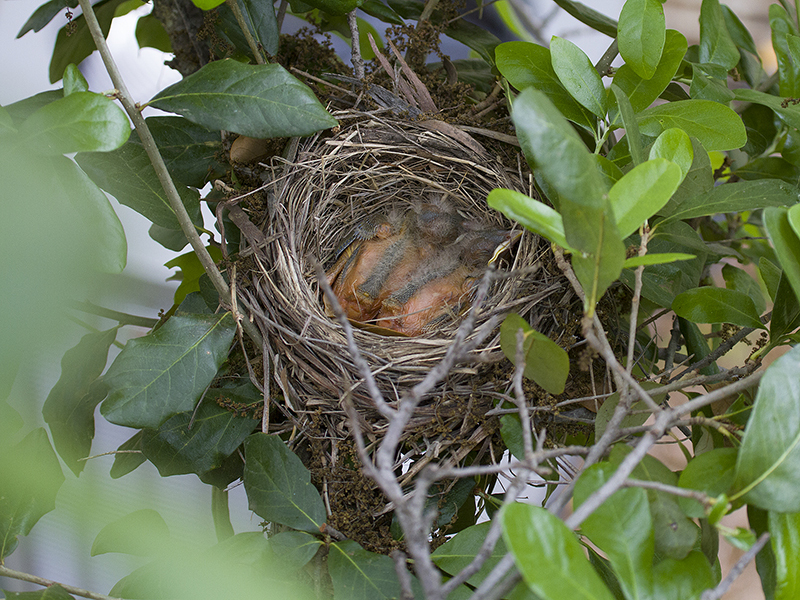 Of the three eggs originally found in the nest, only two hatched. 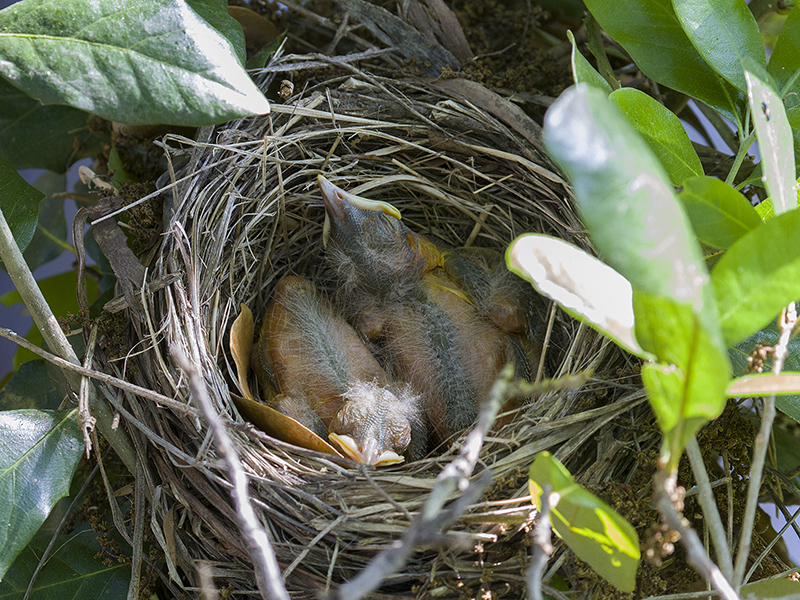 It is unclear what happen to the third egg and hatchling. Two of the three eggs hatched successfully. Photograph courtesy Phil Plank. 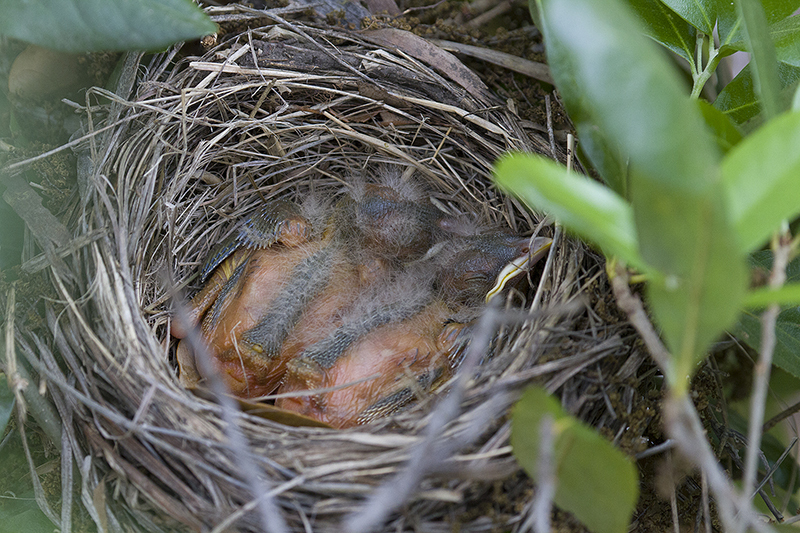 The two surviving robin chicks. 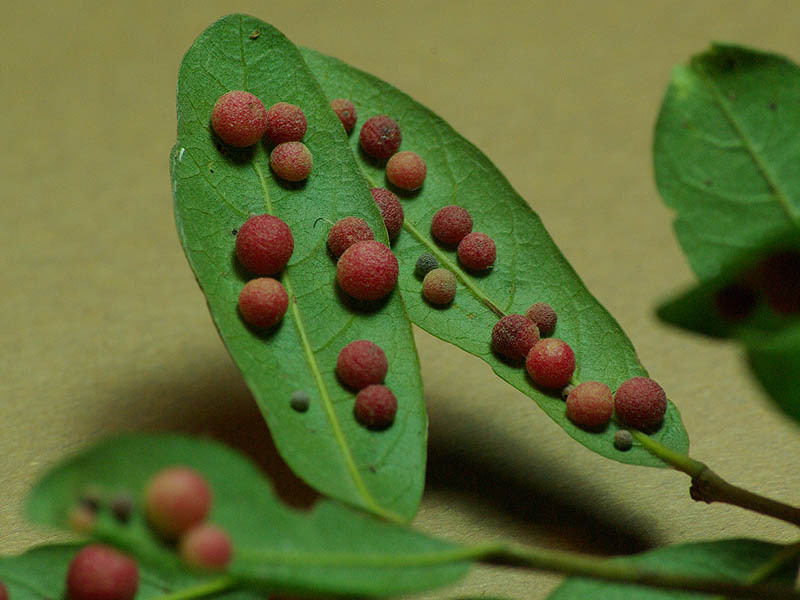 The fate of the third hatchling is unknown. Photograph courtesy Phil Plank. 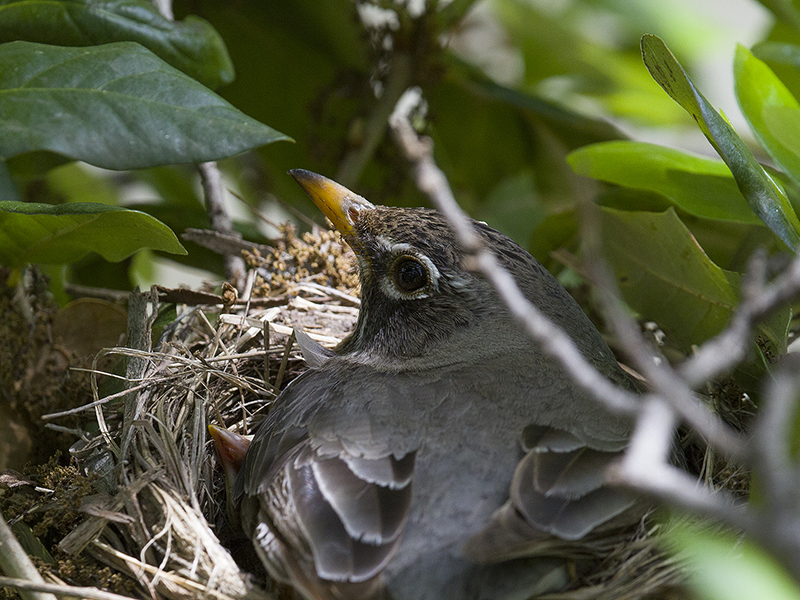 The next morning mom was found sitting on the nest and brooding her two young hatchlings. 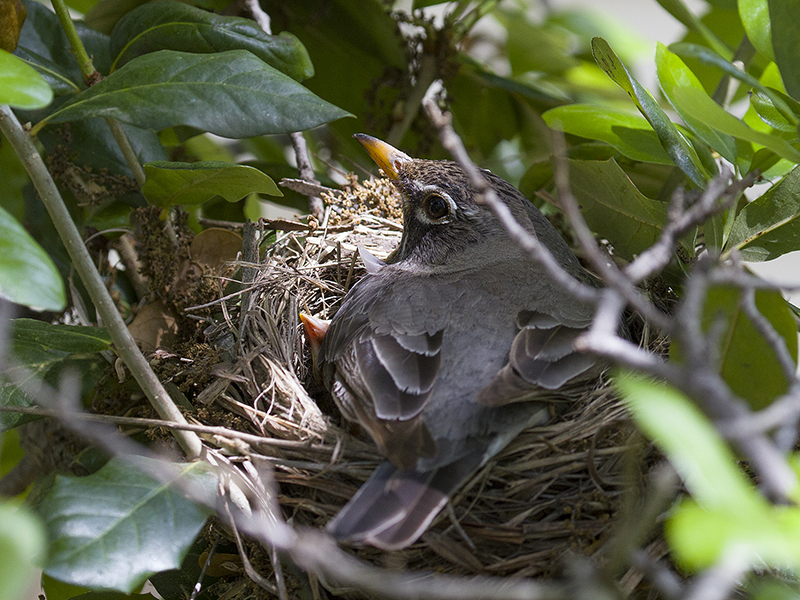 But the early spring weather proved warm enough to allow mom some time off the nest, and she left the area for a short while. Brooding her newborns. Photograph courtesy Phil Plank. 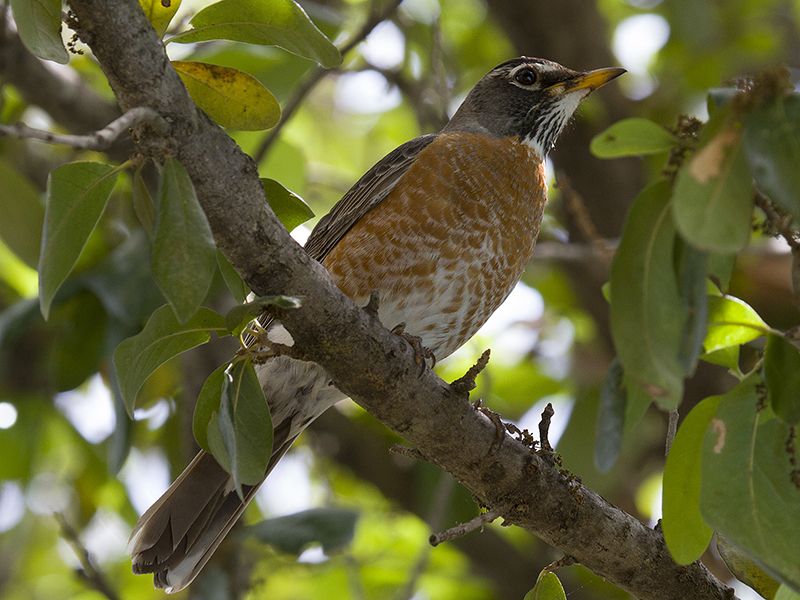 Another female American Robin was observed in the immediate area. Photograph courtesy Phil Plank. 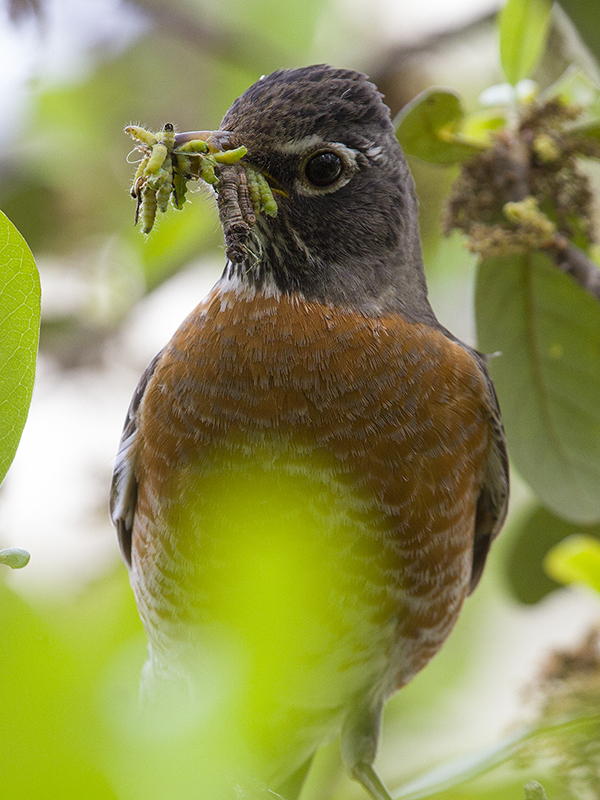 The female robin returns to the nest with a mouthful of caterpillars for her brood. Photograph courtesy Phil Plank. 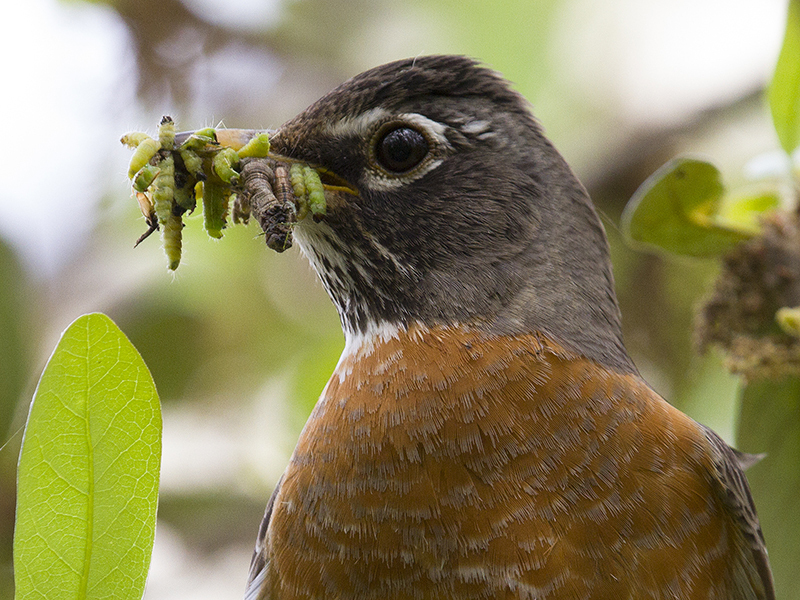 When the mother robin returned she had a mouthful of caterpillars for her hungry offspring. I count as many as a dozen or more caterpillars in her mouth at one time—what I really want to know is how in the world did she manage to catch them all!?! 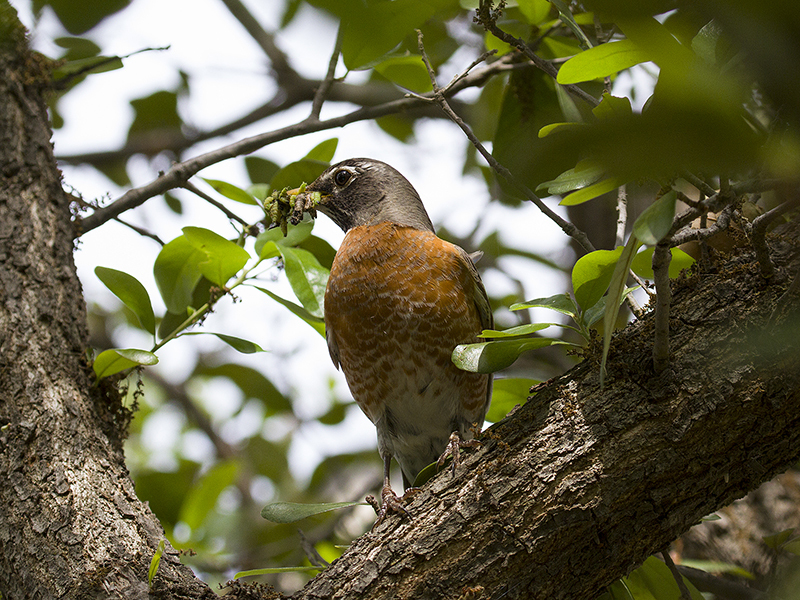 Food for the young robins. Photograph courtesy Phil Plank. 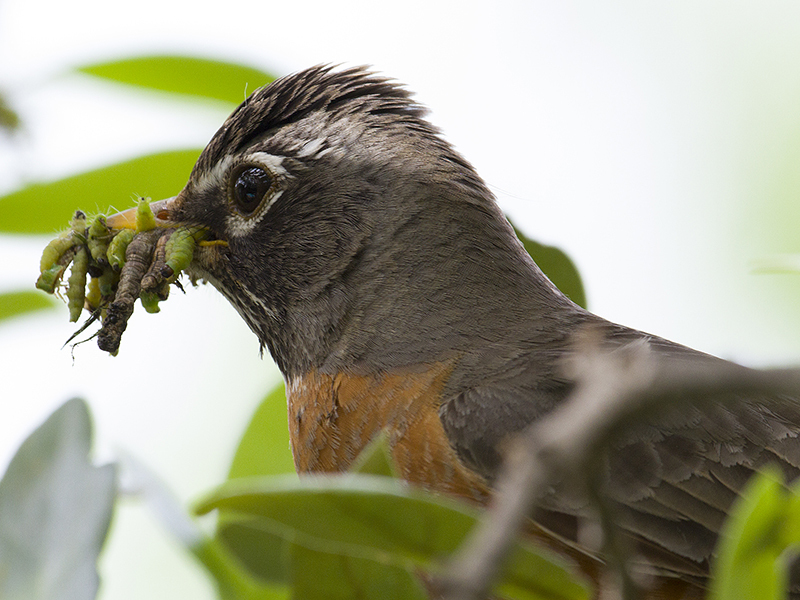 I count anywhere from 12 to 15 caterpillars in the robin’s mouth. Photograph courtesy Phil Plank. How did she catch them all!?! Photograph courtesy Phil Plank. 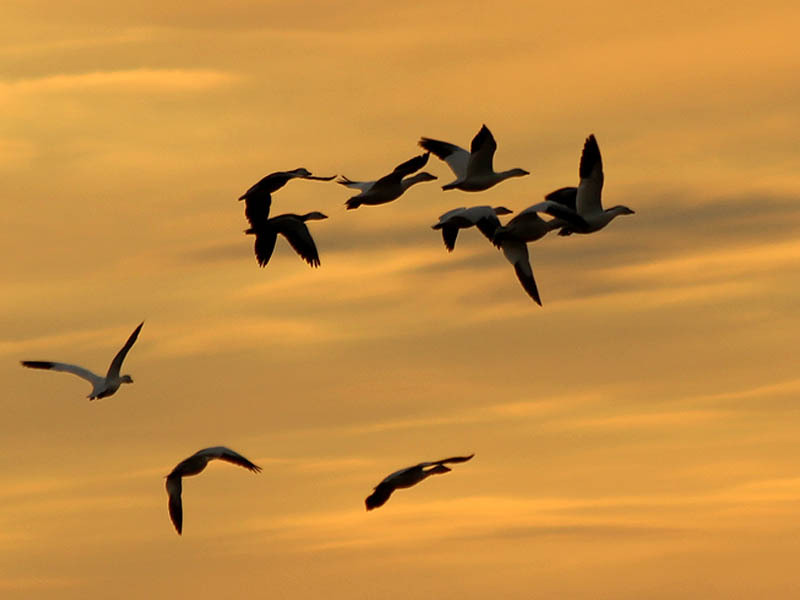 Moving toward the nest. Photograph courtesy Phil Plank. The caterpillars did not last long! Photograph courtesy Phil Plank. 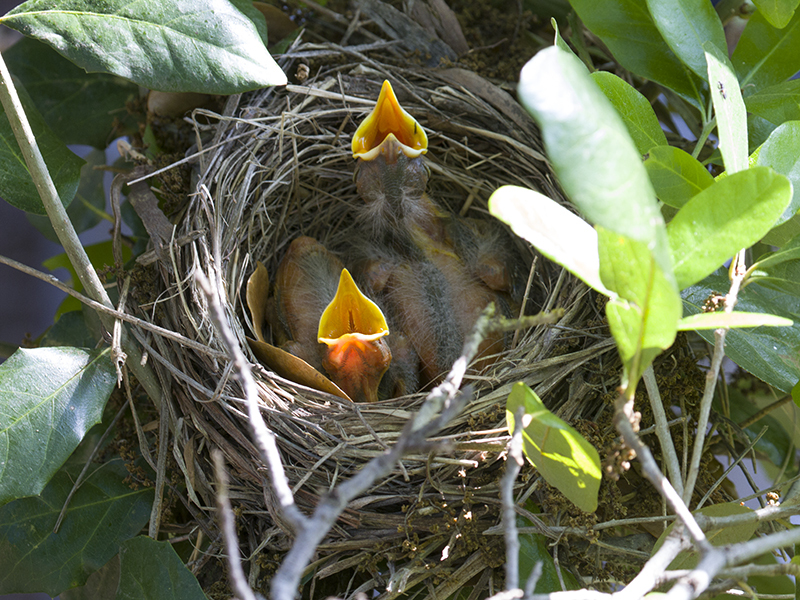 Movement near the nest inspires the hatchlings to beg for food. Photograph courtesy Phil Plank. 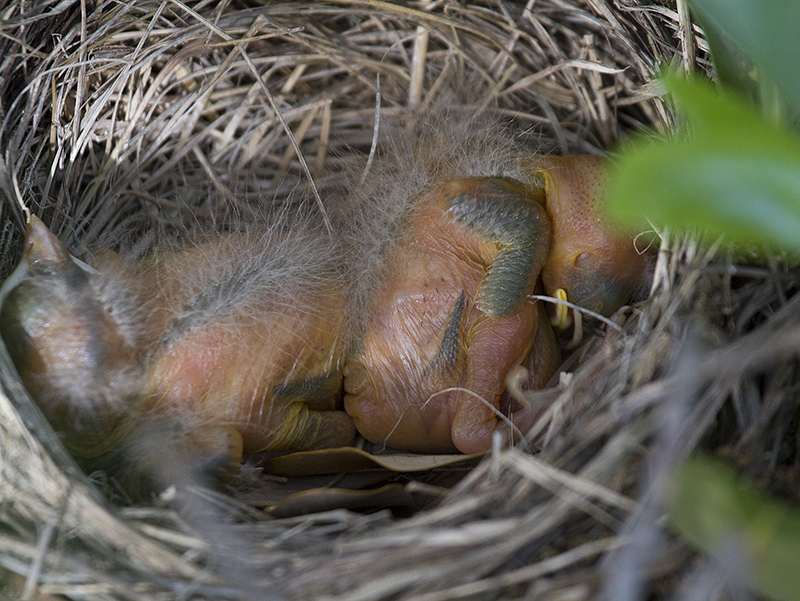 Day old baby American Robins. Photograph courtesy Phil Plank. 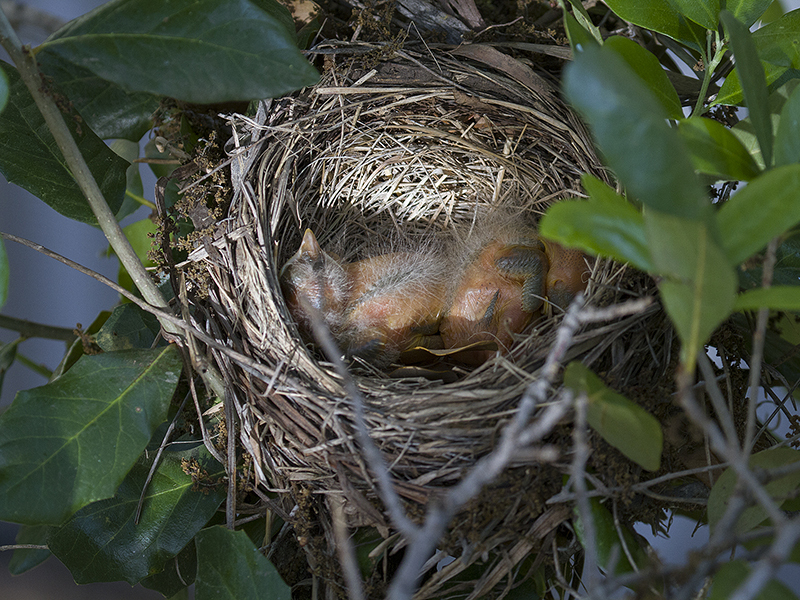 Peacefully sleeping in the nest. Photograph courtesy Phil Plank. 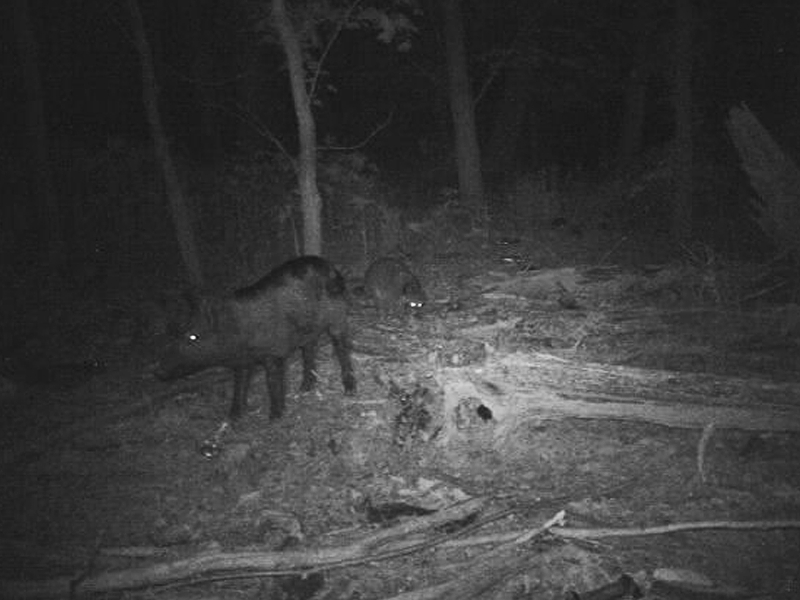 Waiting for their mother’s return. Photograph courtesy Phil Plank. 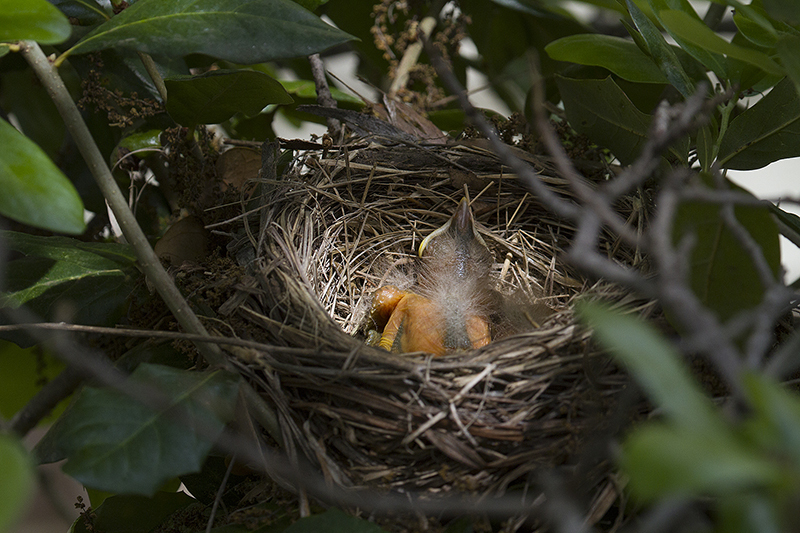 The American Robin’s nest in context. Photograph courtesy Phil Plank. What wonderful photographs!!!! Great job! How did you get these shots? I’m impressed! My buddy Phil got these great shots. 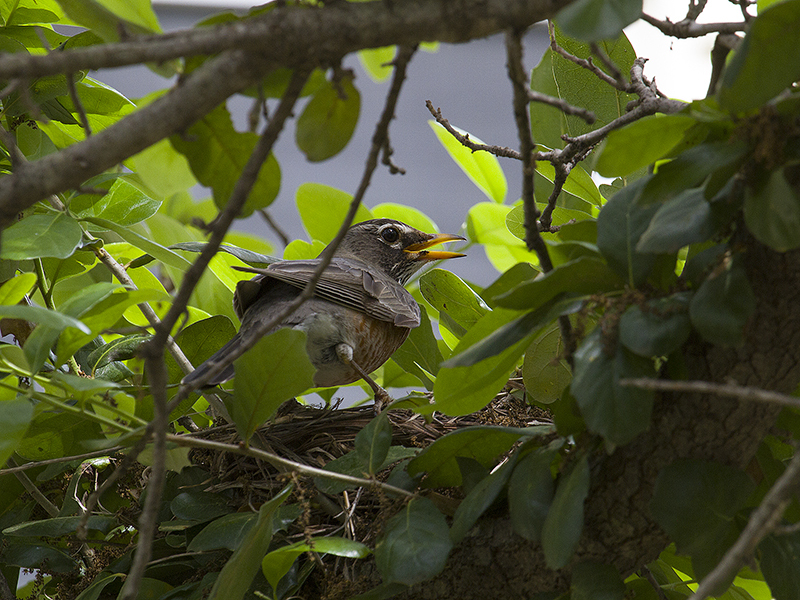 The Robin nested in his backyard in a readily observable place.